As part of an ongoing feature, we've sat down and asked some of our wonderful content partners a number of questions about their businesses, their partnership with us, and the future of the industry. This week we spoke with Berkshire Publishing. If you're interested in keeping up to date with more interviews like the one below, the state of course materials and ed tech in general, or AcademicPub specifically, be sure to follow us on your social network of choice whether that’s Twitter, Facebook, Google+, or LinkedIn. Connect to Berkshire Publishing - specializing in international relations, cross-cultural communication, global business and economic information, and environmental sustainability - on Twitter, Facebook, LinkedIn or Pinterest. AP: Tell us about your company, what disciplines do you publish in, and your history? BP: Berkshire Publishing is unusual. It is a tiny company doing huge projects, a small-town business with a global focus, and a publishing enterprise run by an author who never imagined herself in business. Berkshire has staff around the world including an office in Beijing and works with many thousands of leading academic authors, but it’s a totally hands-on operation that reflects Karen Christensen’s passionate commitment to global understanding and especially to sustainability. Berkshire’s success is based on Karen and her staff’s ability to bring together communities of experts – hundreds of them for a single project, often in as many as 70 countries. Berkshire has created the major reference works in existence on topics including Leadership (with Sage), Community (also with Sage), Modern Asia (with Scribners), World Sport, World History, China, and Sustainability. 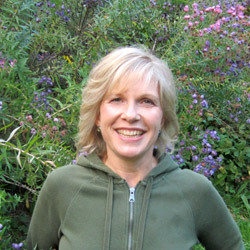 Karen founded Berkshire with her ex-husband, David Levinson, a well-known cultural anthropologist. She took over the company in 2007 and has expanded its focus on Asia and especially China with the help of her son, Tom Christensen, who graduated from Grinnell College and then went to live in Beijing as Berkshire’s representative (he also works for the new London-based Bilbary.com). Now dividing her time between Great Barrington, Massachusetts, and the West Village in New York City, Karen is reorienting Berkshire to provide educational materials and services as well as publications for international education and online courses. These new developments derive from the rich article archive that Berkshire is making available via AcademicPub. BP: Berkshire made a major change in its approach to encyclopedias while working on the Berkshire Encyclopedia of China, published in print in May 2009. Instead of flowing articles one after the other, the new format had every article start on a new page, designed and edited as a stand-alone piece of short-form content that could be used in teaching. Of course the articles were also designed to work well together, providing coherent coverage of all aspects of Chinese history, culture, science, and politics. This unique encyclopedia format makes it easy for Berkshire to offer articles via AcademicPub. Berkshire is delighted to work with a company focused on making it easy for educators to create exactly the right course materials for their students while respecting copyright. AP: Do you have a view on the future of course materials you’d like to share? We look forward to offering our fast-expanding China content via AcademicPub. This material includes not only the 800 articles in the Encyclopedia of China but vocabulary and other worksheets, discussion guides, and other valuable teaching tools that are available at www.ChinaConnectU.com. Teaching Chinese and courses on China require a great deal of customization. A school with many “heritage” learners or students from China will, for example, need material appropriate for them. Many teachers are also creating their own materials, and will appreciate the way AcademicPub allows them to integrate their lesson plans and sample quizzes with articles written by leading China scholars for Berkshire publications (and of course from other works, too). We see the opportunity to make a wider variety of teaching resources available as a key benefit of working with AcademicPub, and look forward to the challenge of managing bilingual materials and metadata, too! 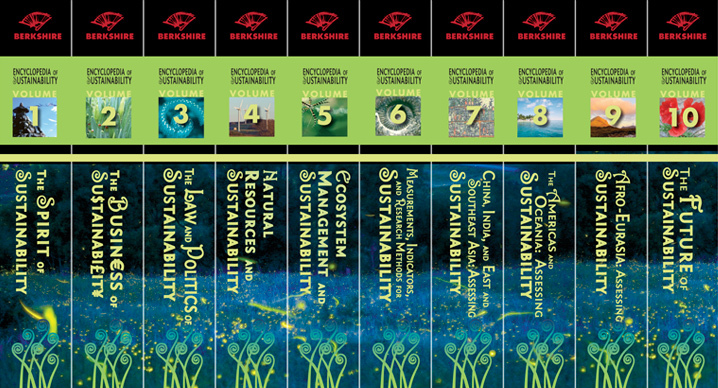 The ten-volume Berkshire Encyclopedia of Sustainability, seven years in the making, will be in print on 1 November 2012. “This is undoubtedly the most important and readable reference on sustainability of our time,” writes Jim MacNeill, Secretary-General of the Brundtland Commission and chief architect and lead author of Our Common Future. The encyclopedia has received advance comment from a group that includes the world’s most influential environmentalists and policy makers and its roster of authors and editors includes many of the world’s most eminent experts on all aspects of environmental sustainability. Reviews have been overwhelmingly positive. 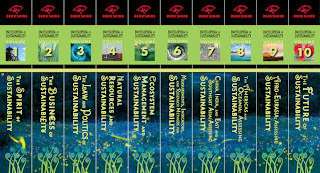 I particularly recommend that you read the introduction to volume 10 as it provides a thorough overview of the entire project, an alphabetical listing of the nearly 1,000 articles in the entire set, from "Accounting" to "Zero Waste," including everything from "God" to "Gold"; a master reader's guide to the set; a master list of contributors, a master index and a master bibliography of most-cited works.